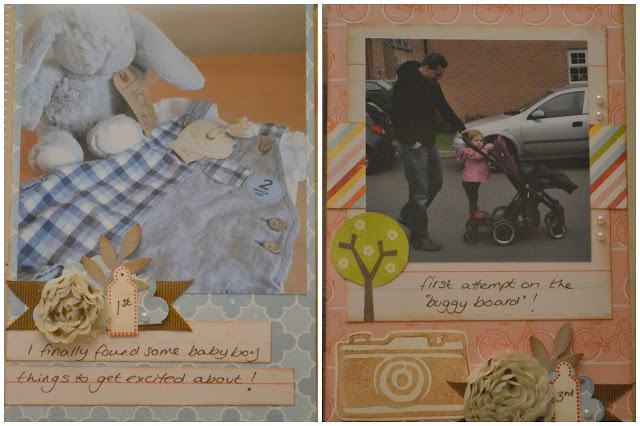 First things first...I've had the baby! He's called Max Spencer Rowland and he arrived by semi-emergency c-section on Tuesday 2nd April and he weighed 6lb 7oz. He was only 3 weeks early and was therefore considered full term. He had to spend a few hours in special care to clear his lungs of some gunk but otherwise he is perfect and I got to take him home straight away - a very different experience all round to that of Sophie! Here is the little chappie posing for his first passport photo! This is the first of the divided layouts. 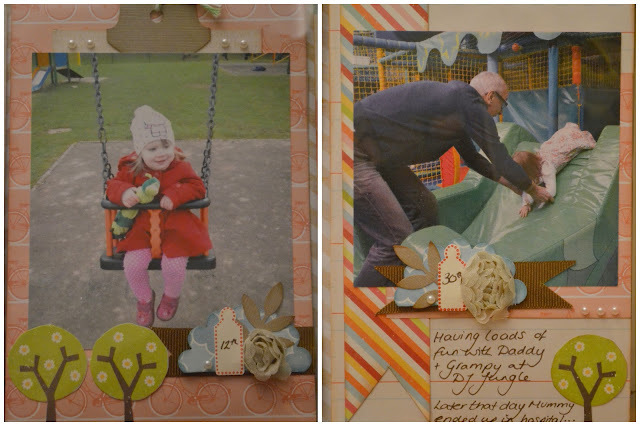 The page protector for this month consists of six 6x4 portrait pockets. Most of my photos for all these pockets started off a landscape 6x4 photos which I've trimmed down so don't worry too much about photo orientation. Second divided layout (on the reverse of the first). and finally March's Focus Layout. I've used two portrait 6x4 photos and one landscape 6x4 photo which I've trimmed down to 5.5x4". See those who can make it on Saturday 20th April about 9.45am for 10am start! Congratulations :D and beautiful pages too.